Gordon Brown, fists a clunking, yesterday took the Edinburgh Book Festival by storm. He explained that Scotland was set to be engulfed in a devastating child poverty crisis, but this was probably okay because, er, Federalism, or something. He told Glenn Campbell, who faithfully tweeted his words as if he was a visiting prophet: “Rising levels of poverty “makes me cry”. It was, in this sense, a masterful performance but really just his own Poverty Safari, in which the gap between his tears and his posturing rhetoric was so huge as to qualify as Unspeak. In a piece of absurdist theatre worthy of a Fringe First, Brown explained that he wants the Scottish Parliament to mitigate the worst effects of policy created by the UK government, but this could only be done by remaining in the political Union under which this crisis was unfolding. I think this is what used to be called Pooling and Sharing. He explained to a rapt audience that despite the oncoming catastrophe of Brexit, the economic disaster that it will provoke and being tied to the worst performing economy in the EU, we should just continue to allow politicians like Boris Johnson, Theresa May and Jacob Rees-Mogg to rule, because to do otherwise would be Nationalism, which is bad. 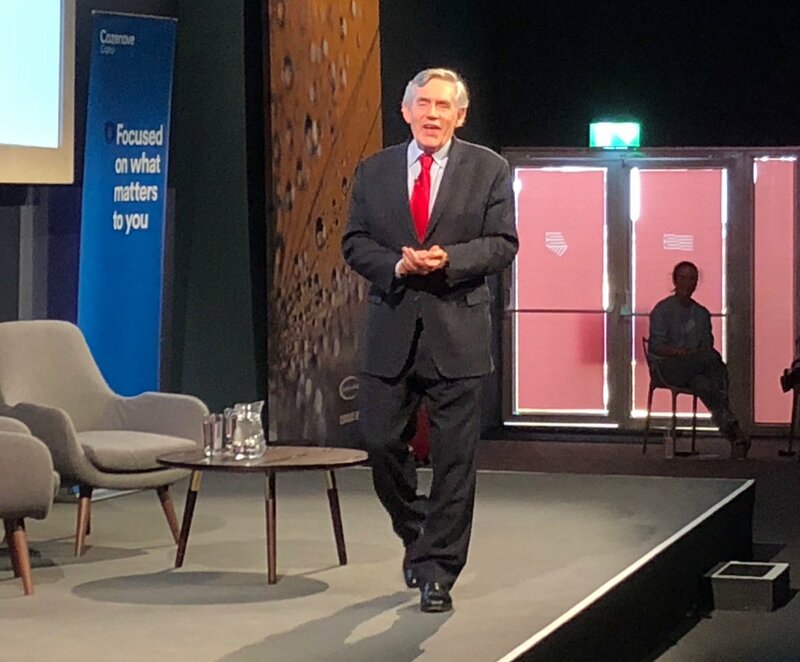 In an extraordinary speech to promote his new book “My Life, Our Times” Brown conceded that the main driver of poverty in Scotland was the UK. He then said that the Scottish Government must mitigate austerity imposed by the party that he teamed up with to campaign for the Union. He at once said that the Scottish Government had the powers to change this – before contradicting himself and explaining that studies have shown that the most effective way to tackle relative child poverty would be to combine a living wage and higher child benefits with tax credits that included a more generous element for children. “Child poverty is already the biggest social injustice of our generation and it appears to be accelerating out of control with child benefit and other child support still frozen or falling in value”, Brown said. To recap then, under Brown’s preferred constitutional settlement you have two governments, one which you elect and another that gets elected for you. The role of the former is to mitigate the disastrous economic policies of the latter. 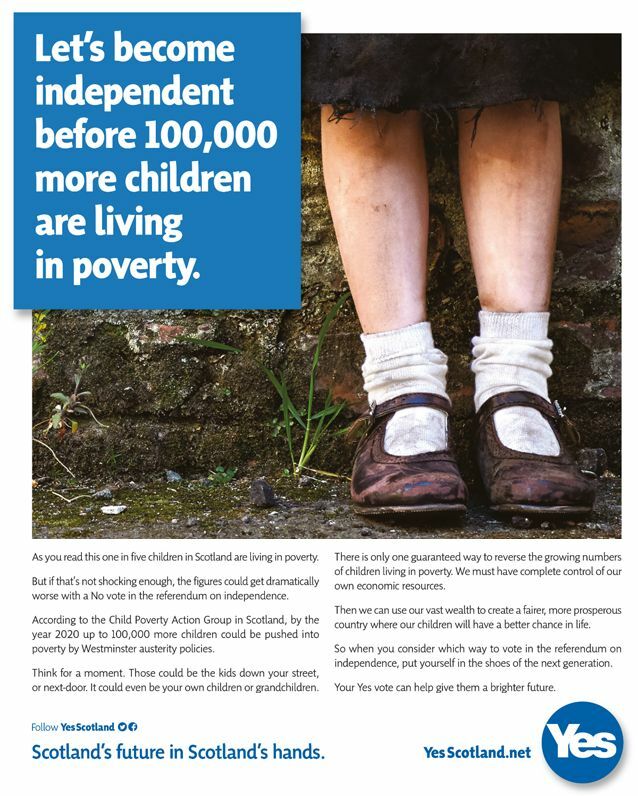 Whilst this may be blighting whole communities and destroying the lives of a generation of children condemned to live in poverty, the only solution is that there might be, at some point in the future some form of Federalism, though nobody knows when or how this would happen as no political party backs it, at all. Brown represents multiple failures. His wing of the Labour Party is a discredited political force reduced to smearing its own democratically elected leader. His vision of economic policy is abandoned to the reality of a far-right Brexit government. His own personal moment of crisis – when his hot mic exposed his attitude towards “that bigoted woman” in Rochdale in 2010 is widely seen as a moment in our trajectory towards Brexit. His constitutional proposals, endlessly trotted out without pause are meaningless notions treated by many in the media as sacred texts. Every time he emerges to repeat the same notions for a fictional constitutional change it’s reported like it’s some kind of a revelation. How do we explain this phenomenon? It’s partly a folk-memory for elements of the Scottish media who long for the simpler times of New Labour, Scots having a meaningful role in the Cabinet and when the idea that Britain could be held together wasn’t treated with derision or disbelief. “It’s good to be from a bygone age” he joked. His radical past is allowed to obscure his record in office to an extraordinary degree. What Neal Ascherson rudely called the Unread Papers for Scotland are held up by modern-day ‘radicals’ as reliqueries from Labour’s lost past. Yet despite his cultivated aura he very rarely gives ‘live’ public speeches and even yesterday managed an extraordinary level of control over the media coverage. For all the myth-making about his control-freakery and political success, the reality is he baulked at the idea of calling an election in 2007 and instead went to the country in 2010 on a singularly uninspiring manifesto which led to Labour receiving its second lowest share of the vote (29.1%) since the First World War. For all the great electoral success we are told about Brown, the simple fact is that Labour got four million fewer votes under Gordon Brown than they did under Jeremy Corbyn. But there is more than that. The Scottish media’s treatment of Gordon Brown is understandable. In a world of politics that gives you Willie Rennie who wouldn’t want a ‘Big Beast’? It is the same unquestioning sycophancy that surrounds Steven Gerrard, it is, as the cliche goes ‘box office’, and in that sense is perfectly understandable. 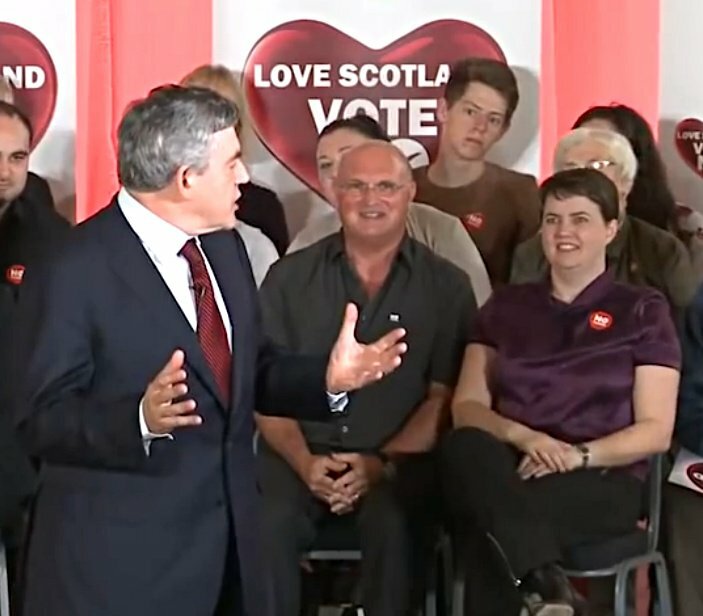 The media’s soft treatment of Brown is a hankering back to the days when John Smith, Donald Dewar and Gordon Brown held a credibility that the party post-indyref and post-Iraq cannot dream of, before Scottish Labour’s decades of inexorable decline. But there is another element to the press nostalgia. He is keyed-in to Establishment Scotland in a way that the much-lauded Ruth Davidson can never be. In fact, as Gerry Hassan and Jim McCormick claim in their article “Blair: the Future of Britain and the Britishness” in Gordon Brown and Tony Blair’s famous 1994 agreement about the leadership of the party, Brown was “given Scotland”. Hassan and McCormick claim that Brown intervened at every level including “trying to stop an open democratic election in the for the post of First Minister”. They continue that: “Brown’s feudal treatment of Scottish politics is the desperate act of a passing old order” that “exhibits a very limited Westminster kind of politics which shows the parameters of the “New Unionism”. In this sense Brown was far more pivotal than Alistair Darling for Better Together. But if anyone represents the broken nature of British politics it is Gordon Brown, from his stage-managed presence to his revered status to his fraudulent constitutional spasms he is as much a man of yesterday as Harold Wilson or Ted Heath. He belongs to an era in which the distance between people and politicians is a carefully managed space. Brown manages to operate both above and below Scottish politics, celebrated, venerated, but rarely challenged. This makes his utterances simultaneously to hold great weight and to be rendered entirely meaningless. It was prophetic when he said in 2014: “Change is in the air, change is coming.” It’s just not the kind of change he envisaged. He called for the creation of councils for England’s regions that could complement the elected Scottish, Welsh, Northern Irish and London authorities to make sure that rural communities do not feel left behind. But all of this – as yesterday in Charlotte Square – operates in a parallel universe in which Brown still has influence, credibility and office. It’s a universe in which there is a growing demand for regional assemblies across England and cross-party support for Federalism, a new constitution and a reform of Britain’s archaic institutions. It’s a universe in which Brown and Blair aren’t the architects of their party’s own demise and in which Brexit doesn’t exist and the old order stands. New Labour: Tough on poverty, “intensely relaxed” about the causes of poverty. The real energy, the wave we surfed in 2014 has broken. We on civvy street have no choice but to wait and see what will replace it. Next time the energy builds maybe the press in Scotland won’t be able to resist throwing their lot in with it – surely they must see by now how bankrupt and hopelessly oyster outdated the whole thing is? I keep my suspicions though – and keep believing that a moral compass has never really been the point for the press, or most politicians. In answer to Ian S’s post of 18th Aug. I am very much afraid that the Scottish press, with few notable exceptions, will not be moved to change its position re the constitutional situation. Apart from the proprietors, the journalists who work in the Scottish media are largely focused on their opportunities to follow Laura Bicker et al into the media stratosphere and hang their country. Any Scottish journalist worth his/her salt and with a grain of integrity, must go home after a shift and spend 45+ minutes in the shower with the temperature set as high as bearable. It must be difficult to wash away the disgusting stench of what they spend there time doing to earn a crust. I noted in the Festival Bookshop that the cover of Gordon Brown’s “My Life, Our Times” comes pre-stressed and dog-eared, for that authentic bargain basket appearance.